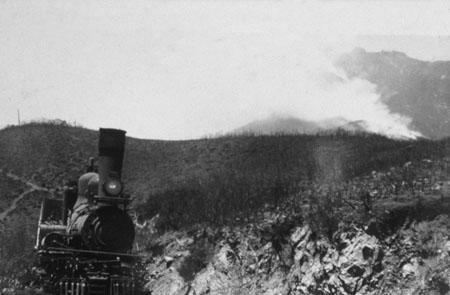 Steam train with smoke from a fire in the background. Team creating a fire break. 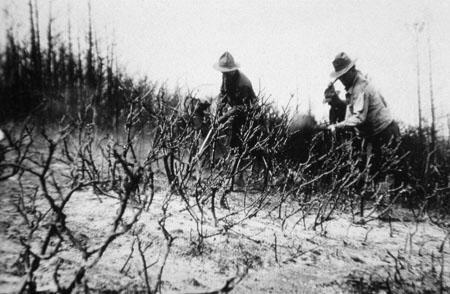 Fire crew on a burnt hillside. Group of fire fighters next to a steam train. In the time before explorers from other continents came to this land fire was a natural part of the earth and was not necessary to control. It served the land by cleansing and renewing as part of a natural cycle. In fact much of the vegetation in what is now the area of responsibility of the Marin County Fire Department depended on fire to renew itself. Fire removes the old and dead fuel and makes room for healthy new and vigorous growth. Businessmen, landowners, and homeowners had an interest in protecting the natural assets of Marin and in so doing their own investments. Uncontrolled fires had already burned large tracts in the past and something had to be done! Valuable lumber and many structures had been lost. Field crops had been destroyed. September 14, 1881. 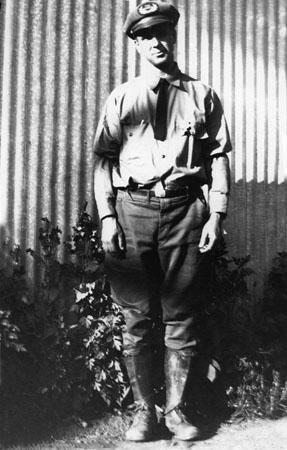 William Pixley, while cleaning his land by burning brush in Corte Madera, set a fire that escaped his control, swept up the slopes of Mount Tamalpais and reportedly burned 65,000 acres before being controlled. According to newspaper accounts "The fire burned freely until September 20 and was then contained (or more likely died out on its own) by a force of 35 to 40 men". 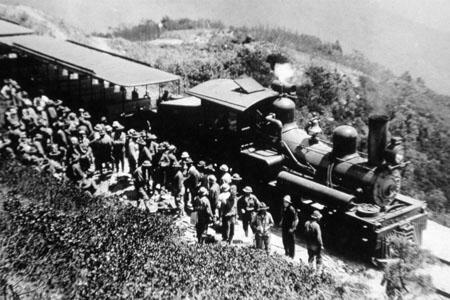 The San Francisco Chronicle reported that "sparks from a passing train set fire to brush at the Corte Madera Depot. The fire soon spread and reached into heavy timber in the mountains where it raged fiercely". October 25, 1890. The Morning Oregonian reported that "for the past 10 days a forest fire had been raging in the Coast Range Mountains between San Rafael and Bolinas, Marin County. Over 8, 000 acres has burned and the fire is still burning in an easterly direction. Eight bridges on the road between San Rafael and Bolinas (Bolinas-Fairfax Rd.) have been burned down. The mail is being carried across Mount Tamalpais by Pony Express. Over 200 men are engaged in fighting the fire." 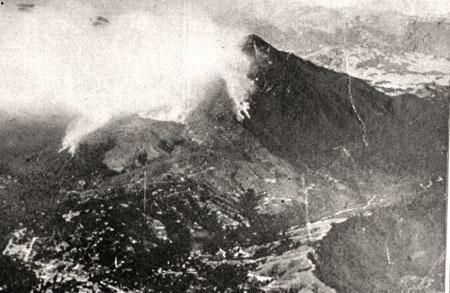 The San Francisco Chronicle reported "A fire started in Bill William’s Gulch at the base of Mount Tamalpais, swept the sides of the mountains, the dense woods back of Toss Station, those near Lagunitas, the Kent property, covering 12,000 acres. It destroyed immense quantities of timber, miles of fences, and many acres of pasture. July 1, the S.F. Bulletin reports "fires on Mt. Tam still burning San Quentin reports the whole Mountain to be ablaze. A force of 100 men was sent from this city (San Francisco) yesterday to assist those already there. $5.00 a day is being paid." July 3, the Bulletin reports "The fire has been extinguished on Mt. Tamalpais but is still burning in the Mill Valley gulches". "Forest fire burning in the western suburbs of Mill Valley today and for a while threatened the whole region. It is supposed to have originated from a camp near here. It has burned over a large stretch of country." Morning Oregonian 9-10-1894 September 25, 1899. A fire in Bill Williams Gulch was controlled by men who "surrounded the burning area and felled trees to check the flames". 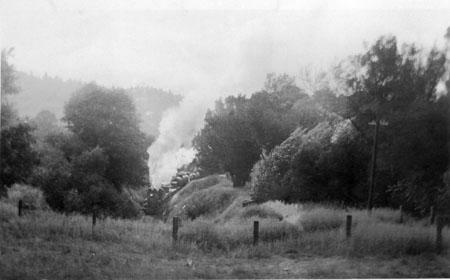 The Marin Journal reports "One of the most disastrous forest fires commenced on Bolinas Ridge behind the Hasbrouck property. Fanned by northerly winds flames rushed westward over the ridge to the McCurdy and Wilkins ranches, then south through the Bourne, Morse, and Stinson ranches. Many buildings on the Hasbrouck ranch were destroyed as was the Summit House. The county road from Wilkins to the summit was littered with burning logs and loose rock obstructions, all culverts and bridges were destroyed. To the east the winds were erratic first the fire would drive toward Camp Taylor then Pine Hill and then into Cascade Canyon. Sheriff Taylor took a number of men into the hills to keep the flames away from county bridges." 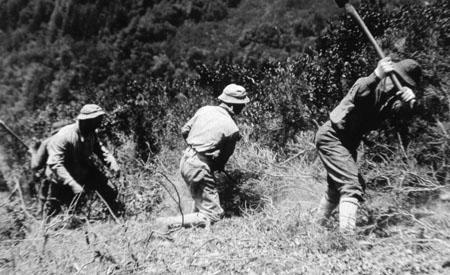 The Tamalpais Forestry Association was formed around the turn of the century. Not much is known about the Tamalpais Forestry Association. The California State Legislature had been discussing legislation to provide funding for forest fire suppression as early as 1881, but legal authority or legislative help had not been forthcoming. This inaction on the part of the State prompted a few communities to organize to meet local needs. The Tamalpais Forestry Association was such an organization. 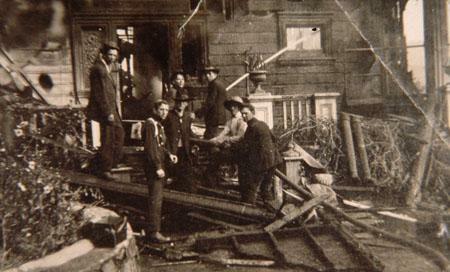 In 1904, the Stockman’s Protective Association and in 1909 the Redwood Fire and Protective Association were organized. These associations were created to fight the fire threat to their industry and were presumable funded by their respective industries as well. It may be assumed that one source of funding for the Tamalpais Forestry Association came from business interests who stood to benefit from the Association’s fire prevention and suppression activities – the protection of the resources on and around Mount Tamalpais. Participation based on value of the land protected was suggested, however membership was offered to all interested persons. In October, 1904, William Kent, then President of the Tamalpais Forestry Association made a strong appeal to the people of the County to join the Association and to contribute their share toward prevention and fighting of fires. He said in part…"there are few residents of Marin County who realize the extent and destructiveness of the recent fire on Tamalpais. There are fewer still who knows what a menace it was to the remainder of the watershed and to all the scenic beauty of the mountain. The Mountain and all its wooded ridges are by all odds the most valuable asset of Marin County, not by any means in land values to the owners, but as furnishing to all who live here and visit here unrivaled scene of natural beauty". The destruction of the forest on Mt. Tamalpais by a succession of fires would be an irreparable damage in every local interest. The task of marshaling, transporting, directing, supplying provisions and tools was one of great difficulty. The officers of the Association were on hand day and night directing and assisting in the work. In all the Association expended over $1,400 in protecting common property of Marin County and succeeded in averting a calamity that would have been felt by everyone. On account of its service past and present, the Forestry Association should have enrolled in its membership all who can afford to pay annual dues of $2.50. Eventually, the county should provide a fire department out of county funds. This agitation by Mr. Kent public spirited conservationist and community leaders later resulted in the formation of the Tamalpais Forest Fire District supported by taxes. The Forestry Association purchased tools and equipment and located them in large tool caches throughout the Tamalpais watershed. They were then available on short notice to crews fighting fires. These caches contained shovels, brush hooks, canteens and lanterns and other equipment. The Association also organized efforts of many of the town volunteer fire departments to utilize and coordinate their volunteers and equipment in the event of a forest fire. 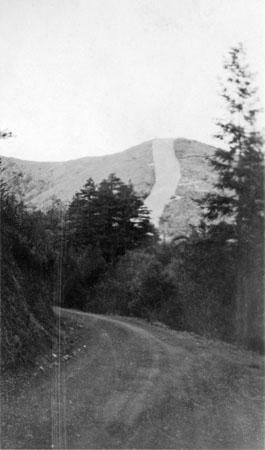 In the latter part of 1901, the San Francisco Examiner built a lookout station on the East peak of Mount Tamalpais. The purpose was to sight ships at sea approaching the entrance to San Francisco Bay and estimate their arrival time. It became a joint operation of the Examiner and the Tavern of Tamalpais and was a major tourist stop. The lookout paid jointly by the Examiner and the Railroad, directed the attention of the visitors to various points of interest and landmarks throughout the San Francisco Bay Area and beyond. On a clear winter day, one could see the snowcapped Sierra Nevada Range.